Massachusetts-based artist & architect Lisa Reindorf’s multi-panel painting series, Sea of Troubles, will receive a solo exhibit at Brown University’s Granoff Center for the Creative Arts (154 Angell Street, Providence, Rhode Island) as part of the university’s Arts and Environment Initiative starting on August 27, 2018. Aerial views of infrastructure along the East Coast depict surging seas and sinking cities. These works challenge viewers to grapple with recent natural disasters caused by climate change. Sea of Troubles presents the conflict between architectural infrastructure and rising seas – a result of building into fragile ecosystems and disrupting natural patterns in the environment. Reindorf uses her signature gird formation overlaid on free-flowing landscapes to capture how nature strikes back against development with rising seas, floods, and polluted waterways. In addition to the paintings’ premiere at the Granoff Center, the upcoming science fiction film Cortex, starring Josh Lucas, features several of the series’ panels. Opens September 6th from 5 30-7:30 p.m. For a sneak peak, preview some of the work. 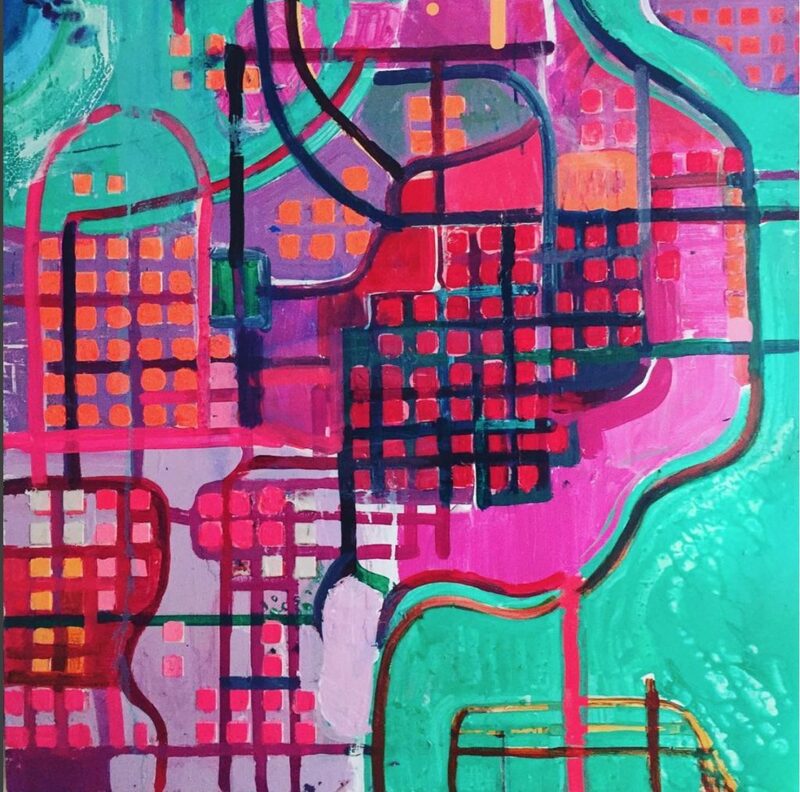 Image: SURROUNDED CITY, by artist and architect Lisa Reindorf.